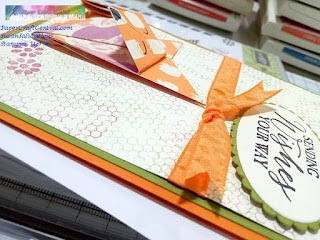 Have you ever considered using origami shapes in your paper crafting projects? I have been playing with this idea for a little while. 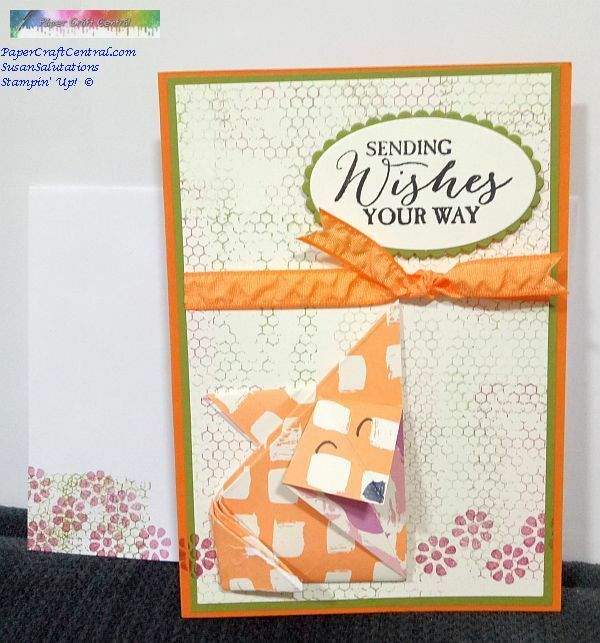 Here is a shape I made for you to see what I mean - a cute little Origami Fox! 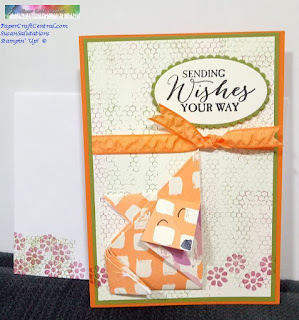 I made him and added him to a card for a birthday, but he is also a good embellishment for a scrapbook page, right? If you make one of these and want to mail it, I suggest turning it inside out before putting it in your envelope. That way you will protect your little fox a bt better and he will arrive safely :) He does wind up being slightly more three dimensional than usual.